It’s time for Christmas dinner. 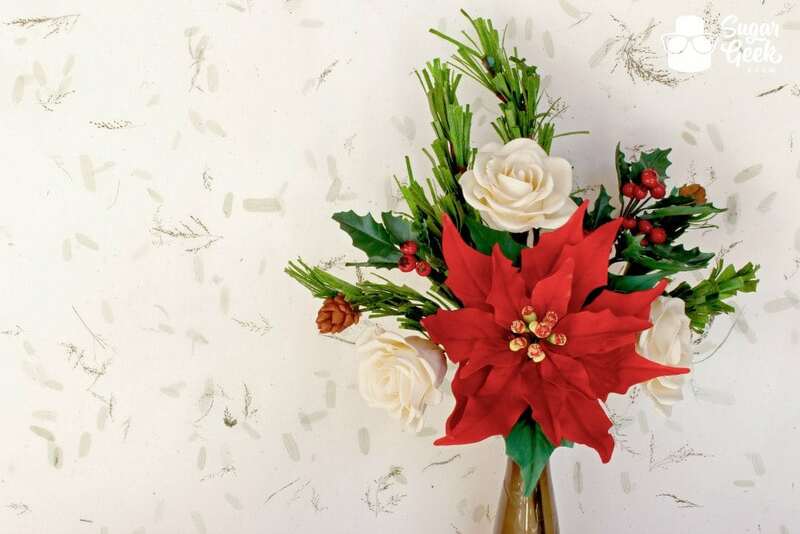 Your guests start arriving and compliment the lovely wreath on your door, or maybe it’s just hanging in the dining room and guests think it’s just like any other Christmas decor. Then comes dessert time and you pull the wreath down and set it on the table. Can you imagine the reactions?! HA! It kills me! Our latest tutorial comes from the fantastic Shani Christenson of Shani’s Sweet Art. 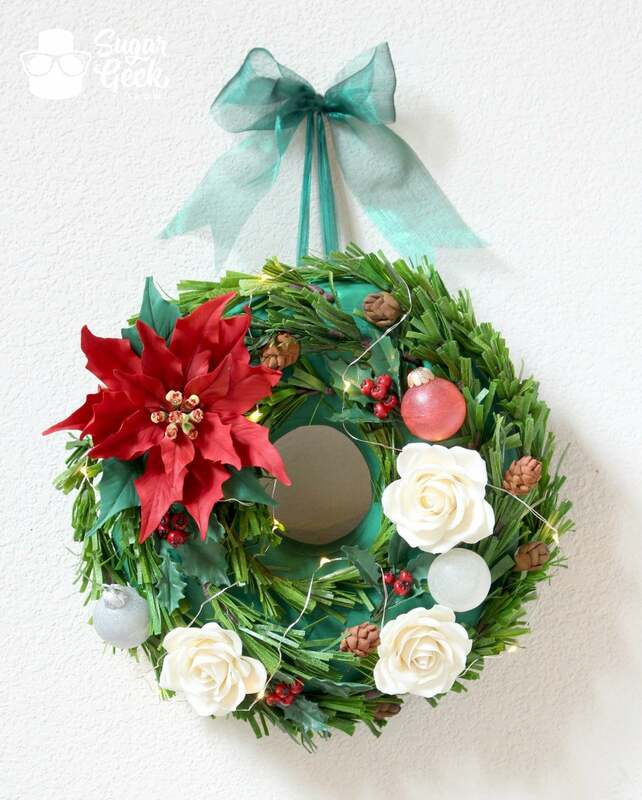 It’s a HANGING CHRISTMAS WREATH. No, I am not kidding, it’s a cake that hangs on the wall and it may be one of the most realistic cakes we have ever had on the Sugar Geek Show. Shani walks us through how to make all of the fabulously realistic details including the pine boughs, leaves, berries, roses, tiny pine cones, bulb ornaments, the breathtaking Poinsettia and most importantly she shows us how to put it all together with a strong, gravity-defying structure that hangs. All of the elements Shani teaches us could be translated to a multitude of other cake designs! 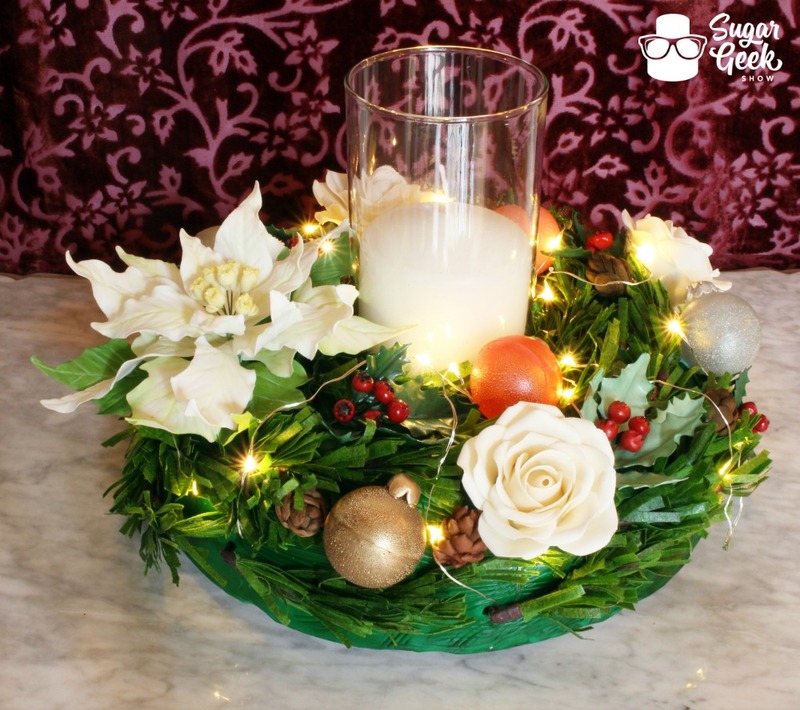 Displaying the wreath on the table with a nice candle is another option. When everyone is ready for dessert, whip out your knife and start cutting into the centerpiece decor. Finish it all off with some festive lights to make it even less suspecting of being a cake. They’ll never see it coming! On top of all of it’s impressive qualities, it really is beautiful isn’t it? Really gets me in the holiday spirit! You know you’re dying to know how this was done. 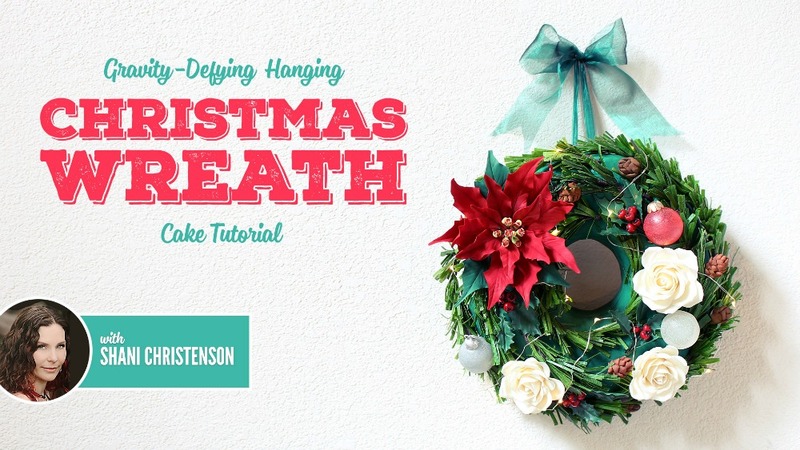 Become a Premium or Elite Member right now if you aren’t already and head on over to watch the Full Hanging Wreath Cake Tutorial. You’ll be glad you did. In the meantime, check out the promo below to tide you over.